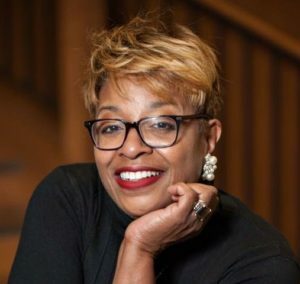 A proud native of inner-city Detroit and its public school system, Antoinette ‘Toi’ Massey holds a Masters of Engineering degree in Mechanical Engineering with a concentration in Nuclear Engineering and a Bachelor of Science in Physics. That journey formally began as a 10th grade member of the first group of 15 recruits from Detroit’s Renaissance High School into the Detroit Area Pre-College Engineering Program (DAP-CEP). She taught math and science in Detroit’s K-12 Public & Charter Schools, as well as adult learners collectively 20 years. The continuous disproportion of women and students of color in the STEM disciplines set her on a mission to embrace the uninitiated and she founded The JEKL Foundation for STEAM Education, incorporating art & design as the collaborative thread across the Science, Technology, Engineering and Mathematics (STEM+Art=STEAM) disciplines. Toi firmly believes that “When girls and students of color see me, they immediately see themselves , when they hear my story they hear my heart and our shared common experiences. We connect and the possibility of their pursuit of and success within a STEM profession just got real.” Speak Series includes: From Backpacks to Briefcases, Successful On Purpose, Think Like A Girl! and Getting To Go: Redesign, Reinvent and Redirect Yourself to Greatness!